1. MODERN MASTERS 92314 DP-608 TINTABLE GLAZE (SCUMBLE) SIZE:QUART. Decorative Painter's products are a must for the professional and serious amateur decorative painter who wants to create beautiful finishes using extraordinary, professional-grade, water based products The term 'decorative painting' describes any finish that requires the painter/artist to manipulate glaze or paint with various tools to create an effect. These finishes include (but are not limited to) Wall Glazing/Broken Color, Faux Finishes, Painted Ornament, Stenciling and Trompe l'Oeil. This translucent and durable water base glaze has a one-hour "open time," with optimum viscosity for maintaining textures on vertical surfaces. Use for any decorative paint/faux finish where universal tints (not paint) are used to color the glaze, such as Marbling, Wood Graining, Exotic Mineral, Bone, Hide and Overglazing. Clean up with soap and water. These premium quality, water base, non-yellowing varnishes have been formulated to have the optimum level of clarity with the least amount of sheen (Dead Flat) or low sheen (Satin). Use as a protective finish coat over decorative paint finishes to add durability and washability, and to remove undesirable variations in sheen level. Clean up with soap and water. INTERIOR ONLY. This water base 3-step-system creates the appearance of antique cracked oil varnish. The Base Coat and Top Coat will give a consistent, clear, finely cracked finish every time. The Enhancers (available in dark and light) will reveal the cracks once rubbed over the finished surface. Use on any painted surface (furniture, wooowork, trim, lamps, and any painted accessories) and over decorative work (glazing, découpage, gilding, painted ornament and stenciling). Clean up with soap and water. This clear, water base medium offers a consistent crack that works every time. Apply between two layers of latex paint to cause the top color to crack revealing glimpses of the base color, creating an antique look. 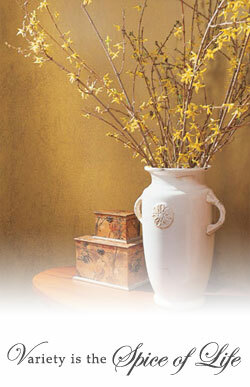 Use Modern Masters® Metallic Paint Collection™ colors as a base coat for dramatic, shimmering cracks. Can also be used to crack Modern Masters® Venetian Plaster. Use on furniture, woodwork, trim, lamps and decorative accessories. Clean up with soap and water. This water base product turns ordinary latex paint into a translucent, durable colored glaze with one hour "open time." Used primarily for "negative" broken color/wall glazing techniques such as: Frottage, Ragging, Dragging/Strié, Sponging, Colorwashing and any other glazing technique where more "open time" is needed to execute the effect. Contractor Glaze is a high quality, non-yellowing, acrylic glaze that adds transparency and depth to specialty paint finishes. This versatile glaze allows the contractor to tint with flat, 100% acrylic water base paints, including low VOC California formulas. Quick-dry formula allows for multiple color layers and prompt return to service. Perfect for creating Faux & Decorative Paint Finishes on large surfaces. See details MODERN MASTERS 92308 DP-605 CRACKLE ENHANCER DARK SIZE:4 OZ. Decorative Painters China Crackle Enhancer-Dark (DP-605) is a dark-toned water-based highlight medium that, when used with lighter crackled surfaces, enhances the crackles in the China Crackle system. See details MODERN MASTERS 92309 DP-606 CRACKLE ENHANCER LIGHT SIZE:4 OZ. Decorative Painter’s China Crackle Enhancer-Light (DP-606) is a light-toned water-based highlight medium that, when used with darker crackled surfaces, enhances the crackles in the China Crackle system. See details MODERN MASTERS 92306 DP-602 CHINA CRACKLE BASECOAT SIZE:16 OZ. Decorative Painters China Crackle Basecoat (DP-602) is a water-based base coat that, when used with the China Crackle Topcoat, replicates the appearance of an antique, cracked oil varnish. See details MODERN MASTERS 92307 DP-604 CHINA CRACKLE TOPCOAT SIZE:16 OZ. Decorative Painters China Crackle Topcoat (DP-604) is a water-based top coat that, when used with the China Crackle Basecoat, replicates the appearance of an antique, cracked oil varnish. See details MODERN MASTERS 92303 DP-601 CRACKLE FOR LATEX PAINT SIZE:QUART. See details MODERN MASTERS 92314 DP-608 TINTABLE GLAZE (SCUMBLE) SIZE:QUART. See details MODERN MASTERS 92316 DP-607 EXTENDER FOR LATEX PAINT SIZE:QUART. See details MODERN MASTERS 92312 DP-609 DEAD FLAT VARNISH SIZE:QUART. See details MODERN MASTERS 99769 DP-612 DEAD FLAT VARNISH EXTERIOR CLEAR TOP COAT SIZE:QUART. See details MODERN MASTERS 92292 BHS3 HOG HAIR SOFTENER DECORATIVE PAINTERS SPECIALTY BRUSH SIZE:3"
See details MODERN MASTERS 92290 BS41 STIPPLER DECORATIVE PAINTERS SPECIALTY BRUSH SIZE:4 X 1"
See details MODERN MASTERS 92313 DP-609 DEAD FLAT VARNISH SIZE:1 GALLON. See details MODERN MASTERS 92291 BBS3 BADGER HAIR SOFTENER DECORATIVE PAINTERS SPECIALTY BRUSH SIZE:3"
See details MODERN MASTERS 99770 DP-612 DEAD FLAT VARNISH EXTERIOR CLEAR TOP COAT SIZE:1 GALLON. See details MODERN MASTERS 92479 DP-615 PORTFOLIO BOARD SIZE:16" X 20" PACK:100 PCS. MODERN MASTERS 92479 DP-615 PORTFOLIO BOARD SIZE:16 X 20 PACK 100 PCS.